It’s now been over a year since the entire music industry lost one of its most beloved and influential icons. The death of Prince no doubt came as a shock to many people, and it quickly inspired a number of artists to pay tribute in their own ways �" many of which have been shown on this site. Now, after hitting the one-year-mark of Prince’s untimely demise, illustrator Joey Feldman has chosen to share his latest tributes to the musical legend. 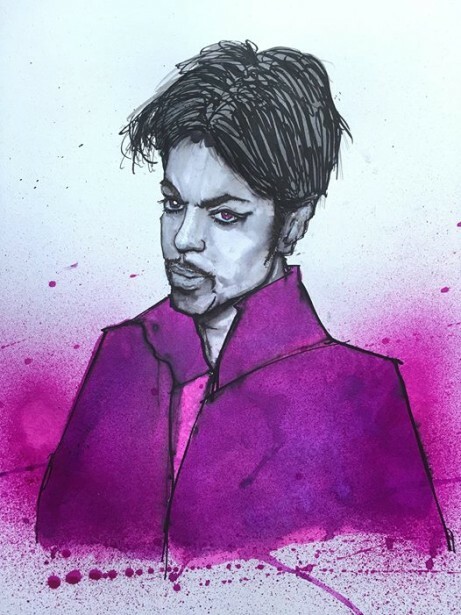 The illustration combines his trademark of fast-sketched line-work and a splash of ink and paint with the one color that Prince was most commonly associated with over the years: purple.